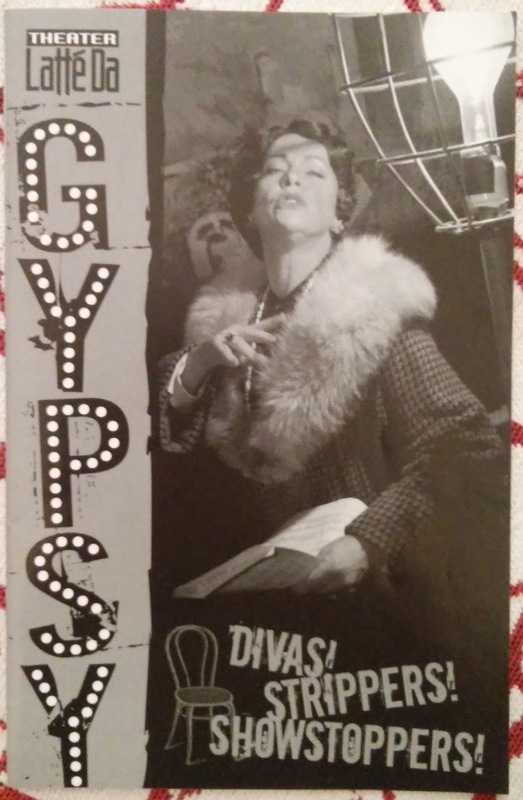 Up until this point in my life I had never seen a live production of Gypsy. I had heard a few cast recordings - of which there are at least five from Broadway and one from London - Merman, Lansbury (London cast but also played Broadway), Daly, Peter, LuPone and Imelda Stauton. I had watched both film versions - the Rosalind Russell and the Bette Midler - but never a live production. I had read the comments - "the best American musical", "the greatest musical", etc and honestly - not convinced. Everything that I knew told me there was no need. The show is so ingrained in many theater-kids worlds (especially of a certain age) that not only do I not feel the need to explain the story and characters, but I didn't really feel a need to see a show about a bossy stage mom who can't let go. However...this production has totally changed my view about this show!! The Theater Latté Da production of Gypsy (part of the Broadway Re-Imagined series by the Hennepin Theatre Trust) is now playing at the Pantages Theater in Minneapolis. Starting with the stage covered with piles of furniture, props, etc and a single ghost-light on stage, I was intrigued. The fantastic overture (usually over five minutes long) was turned into just the opening fanfare - and even then the trumpets sounded ghostly and far away. It was clear that we were starting at the end of something, and as the show progressed we realize it was the end of vaudeville. A false proscenium descended onto the stage and the show started. Historically Mama Rose barrels down the aisle of the theater, through the audience yelling "Sing out, Louise!" Michelle Barber chose a different path and it made all the difference in the world. Her tone was chiding and a bit weary - like she has consistently had to tell her daughter this over and over and over. She was a strong woman and loving mother who has her children's best interests at heart. She wants them to succeed, and is willing to do almost anything to make sure they do. Through the trials of Act One - the children growing up, starting to make their own decisions in life - Barber's Rose is growing with them. She is getting strong and more determined to the point that at the end of Act One, when Baby June has left the show and Mama Rose turns to Louise to tell her that she will be the new star - there was an audible murmur of disbelief through the house. Barber is amazing in showing the audience the journey this character is on, and the audience is right with her. 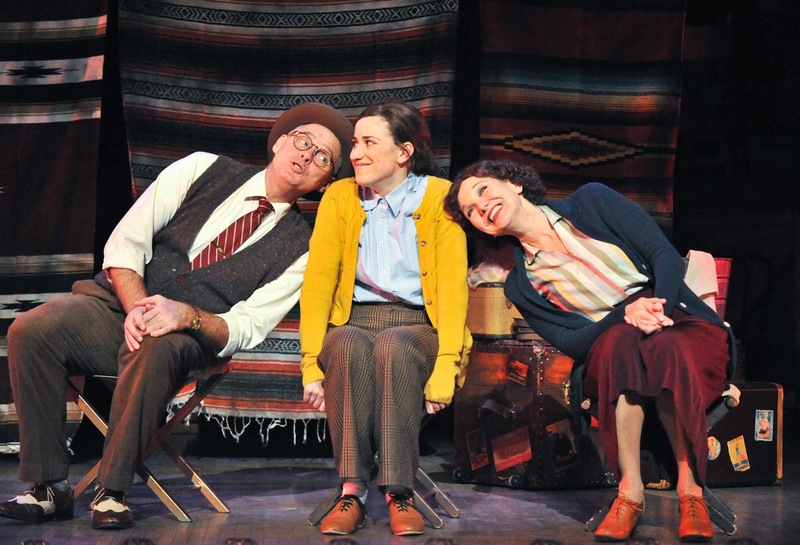 While the show Gypsy is about Rose, there are some fantastic actors and characters on stage. Peter Rothstein has done wonders with this cast. There is quite a bit of double and triple casting which works every time. Baby June played by Victoria Wyffels grows up to be Dainty June played by Shinah Brashears. Shinah consistently played with her age on stage - providing a soft "r" so that "Caroline" sounded like "Cawoline". Yet the minute she was playing June (instead of her on-stage Dainty June) that "r" turned right back into a hard "r." It was a fantastic choice. And the fact that I just now realized that Shinah plays two other characters (after being so great as June), I find that amazing. The incredible Tyler Michaels also plays three roles - Georgie (at the top of the show), then the grown-up Newsboy Tulsa (doing a great "All I Need is the Girl"), then totally changing gears and playing the stripper Electra! Who doesn't want to have that sort of versatility in their skillset!! And speaking of versatility, I have to mention Eriq Nelson - playing the gross Uncle Jocko at the start, then following it up with nine other characters!! Bravo! Each character through out the whole show was so individual that you never think of who is playing it, nor do you realize who is playing it at times. 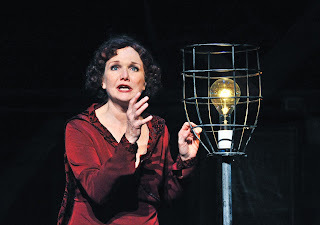 One of the many great things about this production is that Mama Rose is played by Michelle Barber, while Louise (later Gypsy Rose Lee) is played by her daughter Cat Brindisi. Seeing these two on stage, the similarities physically and vocally was perfection. And if you thought that you saw Mama Rose get stronger and have a slow build during Act One, just wait till you see what Cat does in Act Two! From the sad, lonely girl (especially in the adorable "Little Lamb" number) who just wants some attention, to the very strong, capable and brilliant burlesque icon that Louise becomes - Cat brings you along her journey the whole way. You get an amazing sense of who this character could be in the number "If Mama Was Married." It is a great duet between the sisters and personally, I can't think of a better version. Her entry into burlesque and watching her become the star that Gypsy Rose is at the end of the show was also brilliant. So many great curtains and gowns. I'm not sure how she accomplished this without an amazing dresser! This production, and this cast was worthy of the standing ovation it received at the end. Here in Minnesota, you can't always say that. Quick note to the Pantages, and other theaters. Please rethink the policy of allowing drinks and food into the theater. I was continually being distracted by the sound of candy wrappers, ice clinking, etc all the way through Act Two. Beyond that (and the very limited restrooms you have), I love your space! It was the perfect space for this production - especially considering that Gypsy Rose actually played the Pantages. 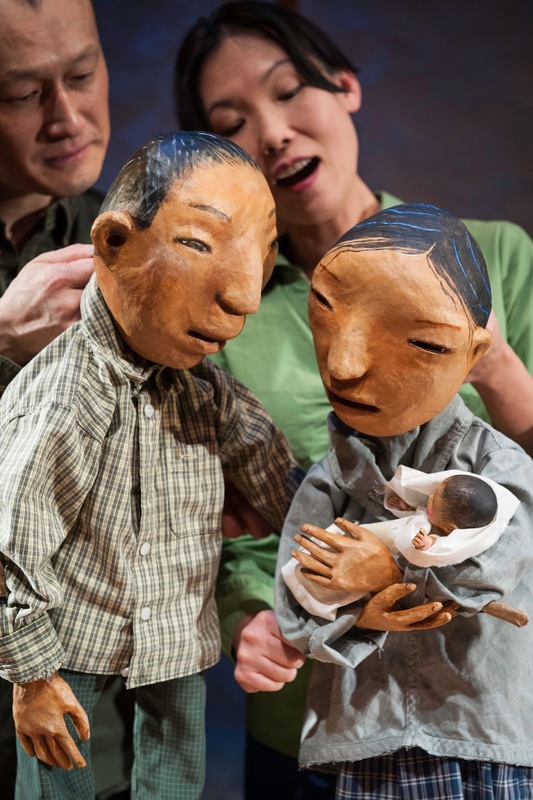 Ivey Award winning Green T Productions states that their mission is "To produce visually stunning, mind-stirring, movement-oriented, multi-disciplinary physical theater that artistically challenges performers and audiences." They are led by Dr. Kathy Welch who studied Japanese theater for over ten years in Hawaii and Japan. 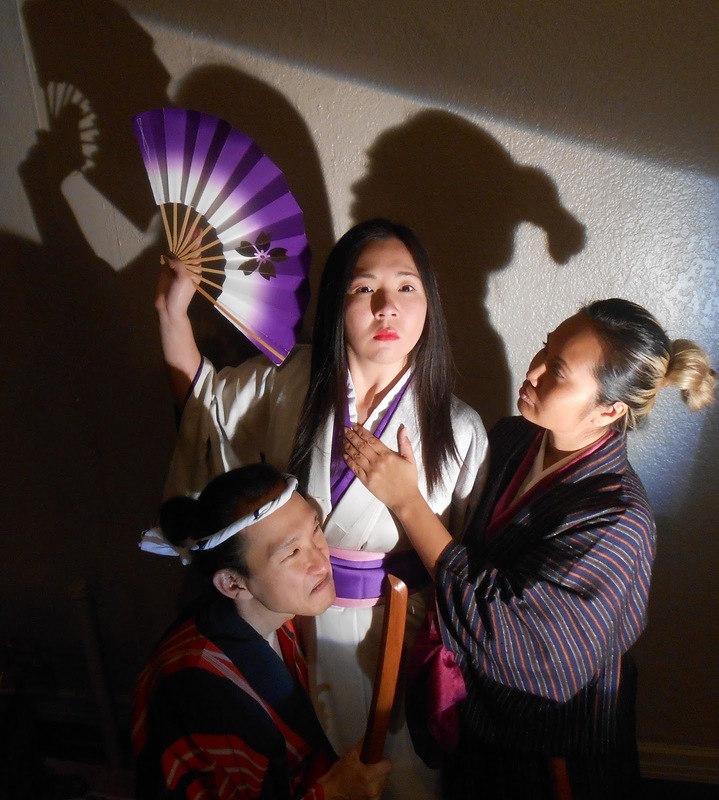 She spend 2 1/2 years living in Japan doing research for her dissertation on kabuki theater. She also studied kabuki acting, and kabuki dance. From her biography in the program, she has extensive experience with various Asian theater forms with a focus on Japanese theater. 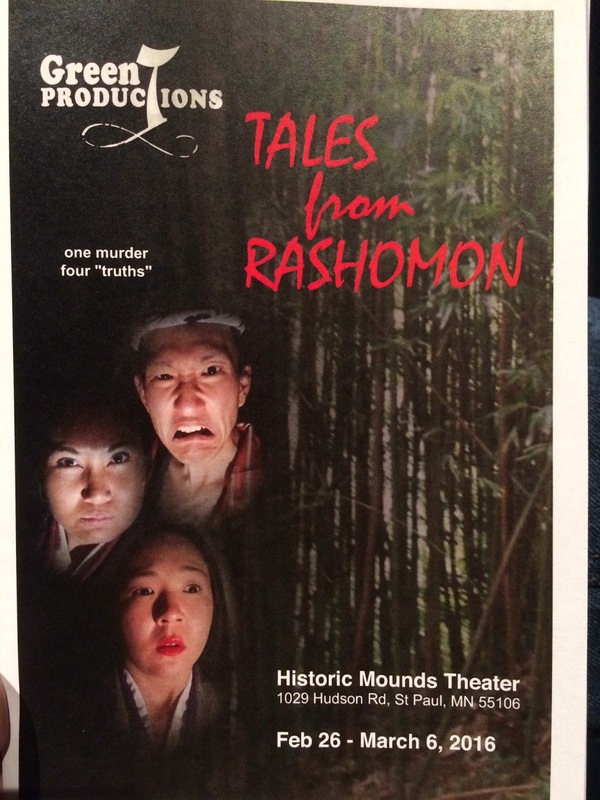 Her current show "Tales from Rashomon" is playing at the Historic Mounds Theater. Rashomon is a story from a collection of stories by Ryunosuke Akutagawa. Rashomon is probably best known from the film by Akira Kurosawa. The film tells the story of a murder from the various viewpoints of witnesses, primarily a Bandit, a Wife, and the murdered Samurai. However through all the stories you never really find out what happened as everyone has their own version of the truth. The set had four cave-like spaces, a wide and deep staircase that let to a playing space on top of the caves and a bridge across to the top of two more caves and an alcove. While the set took up most of the stage, there was a space on the right for the musicians, as well as an alcove above the musicians. The band consisted of taiko drums, koto, and shakuhachi. Also sitting behind the musicians was a ladder with a few shinto shide hanging on it. Each of the alcoves had a figure in it - it looked to be made of plaster. The show starts with a chorus of disaster refugees from different time periods coming on, carrying a body. They had some stylized make-up, worn out costumes and eventually they helped tell the various stories. After they set the body down at the top of the stairs, they each spoke sentences or two that they repeated occasionally through the opening. These made very little sense but I took note thinking they would circle back and make sense at some point in the show. Out of the alcove above the caves, the plaster figure breaks apart and a woman appears. She coughs, hacks, gags (which was understandable at first but was very disconcerting when she continued these sounds through out the whole show), and had a very "Gollum" feel about her. She was dressed mainly in white with a white covering over her head, and stylized white make-up on her face. Her mannerisms were very low to the ground, hunched over like the beggar woman she was. She went to the body, pulled off some clothes for her own use, found the briefcase the corpse had with him, then proceeded to pull out a hair from his head. A servant comes down through the audience wearing a shirt and tie, gets on stage and starts to look for shelter. The beggar woman convinces him to read the contents of the briefcase and the stories of the murder begin. Only later did I realize that these two characters are based on the actual story called "Rashomon." The stories of the murder are actually from a Akutagawa story called "In the Grove." Each of the stories relating to the murder were told in a specific Japanese theater style. The first was told in Kabuki, the second in Noh, and the third in Bunraku. Having grown up in Japan, I am quite familiar with Kabuki, and am a big fan. I am aware of the other two styles and have seen portions of them on TV but never live. That being said I probably walked into the theater with higher expectations than the rest of the audience. The Bandit's story is told in a Kabuki style. It contained stylized movement and vocal patterns which could have been seen as parody if you didn't know the background to it. Personally, hearing English spoken as if it were Japanese in a Kabuki-style was disconcerting - especially when the Japanese names were not pronounced correctly. The Wife's story was told in a Noh style. The chorus sat in front of the musicians and sang while the Wife told her story mainly through movement and dance. At the same time, the servant is also reading parts of the story. It was lovely to watch though at times difficult to understand. Finally the Samurai's story is told via Bunraku. Considering the Samurai is the one who was murdered, the beggar woman helps bring his spirit back through an extended movement/dance section - including some breakdancing. His spirit comes into the puppets and the full cast tells his story. This section was also very lovely to watch. The way the puppets were manipulated and used was very skillful. Traditionally two of the three people manipulating the puppets are dressed all in black with their faces covered so that you can focus better on the puppet. While this was not the case here, the story was still very well told. The three lead characters - Bandit, Wife, and Samurai were all played by actors of Asian descent. The costumes for each were wonderful, though I did miss the stylized Kabuki make-up. They were the only three (beyond the servant) who did not have some sort of stylized make-up on. The music through out the work was very nice, though some of the melodies may have been over-utilized. If you have never been to the Mounds Theater, it is a renovated movie house so the stage is raised and the seating is slightly raked. It is a bit cavernous but, with the exception of no backstage, it seems to work well for theater. They have lovely art deco decorations on the walls and it has a good feel to it. If you have never been to a Green T Production show, I would recommend going to one with a talk-back after the show. If you are new to Japanese or Asian theater styles, the talk-back should give you an opportunity to ask questions about them. While I may have been disappointed with this specific work, I will be back to see more. I am intrigued by the work they do, and to see how Dr. Welch uses her training and knowledge. For extra resources, follow the links above. I would also recommend doing a youtube search on the various styles. I have created a small primer below. 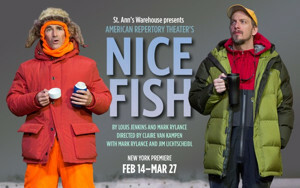 Nice Fish, a play written by Mark Rylance and created primarily from the gentle, quirky prose poetry of Louis Jenkins, was commissioned by and premiered at the Guthrie Theater in 2013. Tony Award-watchers will remember Rylance recited poems by Jenkins as his acceptance speeches in 2008 and 2011. The American Repertory Theater produced this play, and after a brief run in Cambridge, MA, it is having its New York premiere at St. Ann's Warehouse. Although there are some changes from the Guthrie version, it still stars Rylance and local treasures Jim Lichtscheidl, Bob Davis and Raye Birk. Being a huge fan of all things Mark Rylance and Louis Jenkins's poetry, I saw it several times here at the Guthrie. 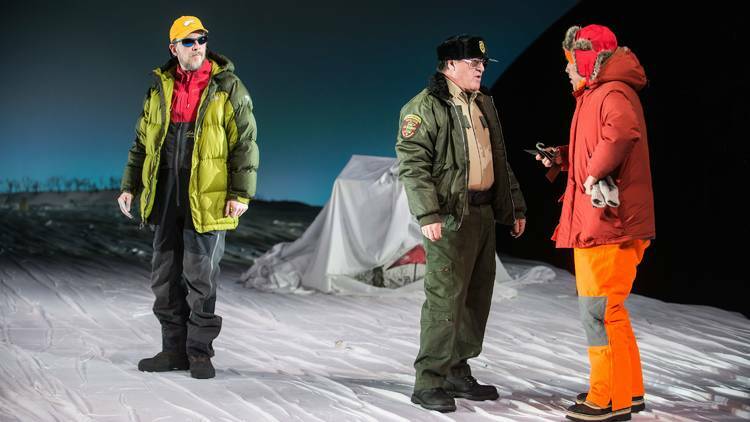 But I couldn't help but wonder ... can a quirky, midwestern-feeling play about ice fishing succeed on the mean streets of New York? 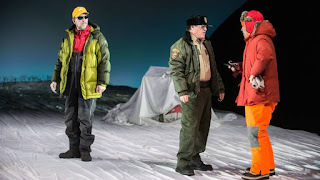 Jim Lichtscheidl, Bob Davis and Mark Rylance in Nice Fish. Broadway World did a beautiful Review Roundup, saving me and you the time of hunting these reviews down. I think I'll use that time to go read a few Louis Jenkins's poems. Audrey Park and Sun Mee Chomet. Mu Performing Arts, which has lately been presenting many new works, brings another new show to the Twin Cities with the regional premiere of You For Me For You by Mia Chung. 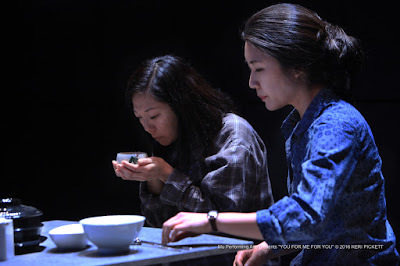 Staged at the Guthrie's Dowling Studio, this is a challenging and intense story of two sisters in North Korea. As the play begins, Junhee and Minhee are fighting over a meager meal, each insisting that the other deserves to eat. The hardships and challenges of their lives in North Korea unfold slowly, from hunger and sickness to unquestioning loyalty to the Best Nation in the World and its Dear Leader. Junhee, played by Audrey Park with fierce intensity, struggles against the restrictions and dares to voice her frustrations. Her frailer sister, Minhee, portrayed by Sun Mee Chomet, clings to the rote recitals of praise for the nation that take the place of normal conversation, fearful that the truth will reveal the futility of her personal sacrifices. When they are separated at the border during an escape attempt, their lives diverge as one faces the challenges of freedom and the other the depths of memory, each trying to find a way to survive. 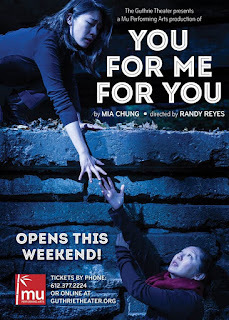 You For Me For You is not intended as a literal representation of North Korea; rather, it uses the situation to explore the depths of loyalty to family and country, and the risks of challenging that loyalty. Some scenes seem very realistic, while others are dreamlike or even hallucinatory. The minimalist set contributes to the feeling that the events are unmoored from the literal world, as does director Randy Reyes' choice of having two ensemble members clad in black who seem to make objects appear from thin air. It's a very cool, kind of eerie effect. Sun Mee Chomet and Audrey Park. Photo: Keri Pickett. I fear that I am not doing the play justice. The script, and this production, includes moments of domestic drama, adventure, terror, and beauty. It also made me want to learn more about North Korea and the stories of people who have left the country to make a new life. In the lobby at the Dowling Studio, Mu has a monitor showing information and resources that provide context for the story. Many of these resources can be found on the Mu Performing Arts website, as well as a list of the post-show discussions around the show. Additional information is available on Mu's Facebook page. Do see this play! And if you go, be sure to arrive early. The Dowling Studio is general admission seating, and unless you are very tall, you will want to get a seat in the first few rows. Unfortunately, a significant portion of the show takes place in front of the two-level set, with the actors frequently sitting on the floor, which means they are hidden from much of the audience. Sit up close to see these wonderful performers do their stuff. Crow Boy, now on stage at In the Heart of the Beast Puppet and Mask Theatre (HOBT), is a fascinating depiction of a inspiring, talented artist and a feast for the eyes. Crow Boy, conceived and created by Steven Epp, Masanari Kawahara, Sandy Spieler, and Momoko Tanno, is the story of Japanese artist Taro Yashima, a Caldecott Award-winning artist. Although early scenes of Taro's childhood are clever and endearing, as he ages, his story soon becomes more complex and at times, difficult to watch. He and his wife spoke up against war and the increasing militarization of Japan and were imprisoned under truly deplorable circumstances. In 1939, he and his wife traveled to New York, leaving their young son behind in the care of family, where he became a successful artist and children's book author, eventually reuniting with their son. The show begins as Taro (Masanari Kawahara) comes on stage, bows deeply towards the audience and says "今晩輪、私の名前わ八島太郎です." Luckily, Steve Ackerman is soon beckoned on stage and starts to translate. The show continues in both Japanese and English. For those of us who understand both, it was very enjoyable, and the dual languages worked equally well for those who don't speak Japanese. 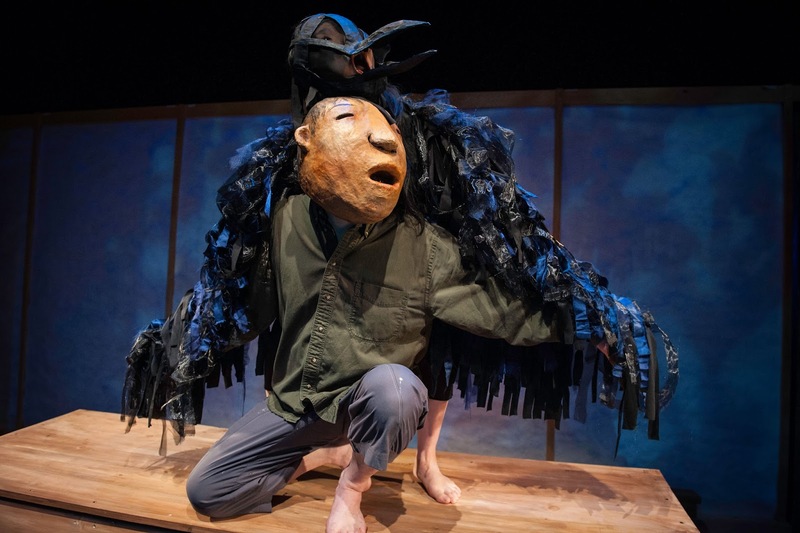 The beauty of Crow Boy is in its intriguing subject and its gorgeous, ingenious scenic design. The story plays out through the use of puppets, shadow play, music and minimalist set. The stage is mostly bare, apart from a simple long table that serves as a drawing table, a representation of the Pacific Ocean, a puppet theater, and even a prison cell. The stage is lined with full shoji panels along the back and sides. The shoji allow for marvelous shadow play, as well as creating the link that runs through the piece to paper and books. The shoji are used as a space to project simple line drawings, representations of Taro's art, and photographs establishing setting. The set is amazingly versatile and beautifully used. 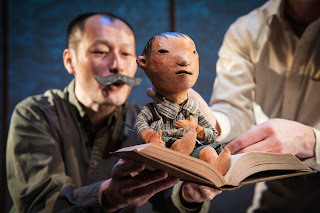 Crow Boy is filled with unforgettable vignettes: endearing childhood moments such as Taro's father tucking him into bed in a book; romantic interludes as Taro meets his wife Mitsu while painting; times of anguish as Mitsu sings of worry about her child (as Mitsu, Momoko Tanno has an utterly gorgeous voice), and moments of pure wonder (such as the very end puppet appearance—no spoilers given!). And toward the end, Taro and Steve tell us the story of Crow Boy (one of Taro's children's books), complete with an ingenious, oversized pop-up book. While they are telling the story, Momoko is sitting on the side of the stage playing a Japanese shamisen, a traditional Japanese three-stringed lute and singing. Again, her voice is just exquisite. At ninety minutes with no intermission, the story still moves along in a slow, contemplative fashion. Some scenes go on to almost agonizing lengths, such as the prison and torture scenes. Although, the website states that the show is appropriate for ages 11 and up, I'd hesitate at bringing a child—I found the torture scenes hard to endure. Also, the show uses cast members beating on pans, bottles, drums and rainsticks to underscore the action. At times, the instruments were mercilessly loud—successfully creating tension and fear, but nonetheless a bit painful to hear. In addition to the terrific additional material (and bibliography) about Taro Yashima in the program, HOBT has a wonderful lobby display showing Taro's work, copies of his award-winning children's books, and even Sandy Spieler's own signed copy of Taro's autobiography. After seeing this imaginative, engaging show, I definitely wanted to find out more about this amazing artist. And anytime I leave a show wanting to find out more about the subject and wanting to return soon to the theater, I consider that a success. 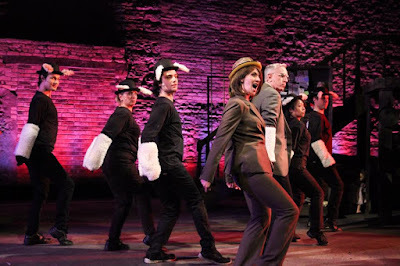 The world premiere of the new musical Only One Sophie opened last week at Illusion Theater. The show opens with Bradley Greenwald alone on stage and singing. In that moment, the musical had me. Bradley Greenwald as Michael Robins and Kersten Rodau as Sophie. Photo by Lauren B. Photography. Only One Sophie is a personal story and an obvious labor of love, as it tells the story of Illusion Theater co-founder Michael Robins' grandmother. As we learn by watching this show, Sophie Robins was a fascinating, complicated, loving, strong woman with amazing fortitude. Robins wrote the book and lyrics and Roberta Carlson wrote the music and additional lyrics, and they both do justice to Sophie's memory. The show opens with an adult Michael (the aforementioned Bradley Greenwald) visiting his grandmother Sophie's grave. 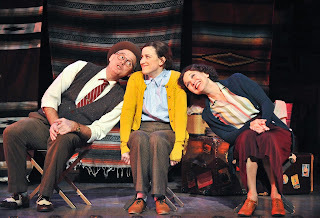 The show takes us into Michael's memories of his grandmother, from her youth in Russia (where she is played by Elizabeth Hawkinson), to her young married life and her adult life as a mother-in-law and Michael's grandmother (the stunning Kersten Rodau), to her death and the week Michael's family spend sitting shiva. Sometimes new musicals can be hard--there are so many moving parts. Not only do you have to have a great story (check), full and rich characters (done), and music and lyrics that move and move the story along, but you need to do it all at one time with a talented cast of singers and actors, not to mention the orchestra, the lighting, the set, whew! There is a point in the first act when the full cast sings in chorus (and another gorgeous one at the end) that I thought, "Ah, yes. That's it. That's the sound of a beautiful musical." Bradley Greenwald plays Michael as a child and as an adult, something Greenwald does beautifully and truthfully, seamlessly transitioning from adult to child and back with subtle adjustments to his physicality. To be honest, it's a little uncanny to see Greenwald on stage as Michael Robins, looking a perfect match of the mildly disheveled Robins who just walked through the theater. Pamela (Elizabeth Hawkinson). Photo by Lauren B. Photography. The entire cast does beautiful work, but there are a few standouts. 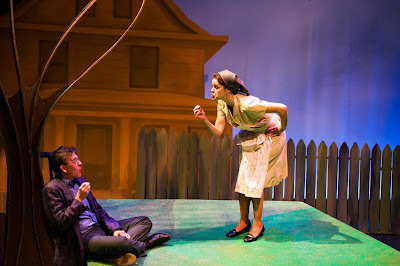 Jay Hornbacher and Beth Gilleland play the feisty and touching Sam and Clara, Sophie's brother and sister-in-law. Sam's solo song, "Say the Names" is a high point in a very strong show. It's not easy to be the character that a show completely revolves around (especially when you start the show already passed on), but Kersten Rodau's amazing presence and gorgeous voice make Sophie the welcome center of this show. Randy Schmeling, Bonni Allen, and Benjamin Wagner also lend authenticity to their performances as family members. Elizabeth Hawkinson is impressive as both Michael's sister Pamela and as the younger Sophie. Rodau and Hawkinson share an energy and intensity that makes them really feel like two versions of the same person. And above all else, this show is about family. A million moments will feel familiar and touching, from Greenwald and Wagner talking while they're supposed to be sleeping, to being unsure about how to behave at a funeral, to adjusting to in-laws, and to remembering those who have passed on with love. This show captures all of this in a moving, funny, poignant way. The theme of family continues beyond the stage with the Sophie Series, a variety of pre- and post-show workshops, special events, and educational panels. Still to come in the series are talks on memoir and documentary, immigration and the Jewish immigrants of Saint Paul's West Side. One of the tastiest-sounding is Grandma's Recipe Crawl at the Gourmet Gallery at Art Institutes International Admission to these events is free with a ticket to the accompanying performance, but space is limited for the Recipe Crawl. Check the website for more information and to buy your tickets to experience this wonderful show. An empty stage, black curtains across the back and a single white line across the stage towards the front. That is what greeted us when we walked into opening night of A Chorus Line at the Ordway. It was exactly what we expected to see, and the performance did not disappoint. 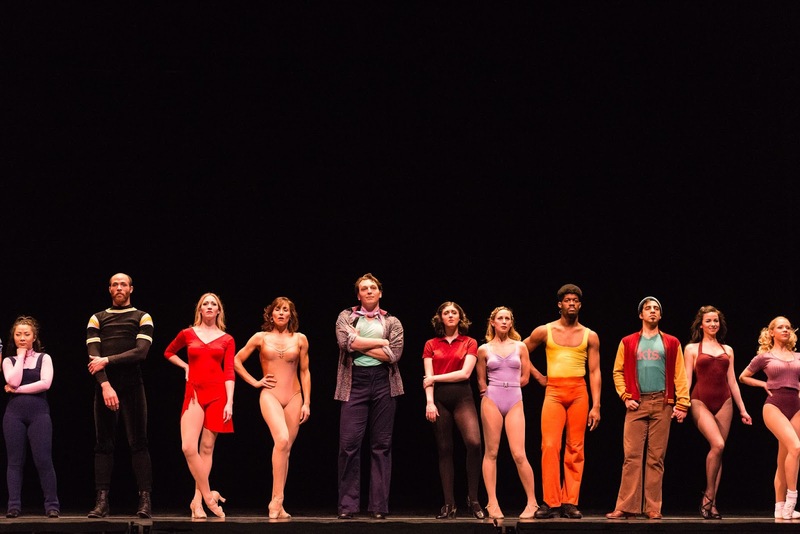 If you are one of the few who does not know the story of A Chorus Line (both the story onstage, and the history of how the show came together), you can read about it here. If you are interested in the history, I would recommend a great documentary named Every Little Step. The story of A Chorus Line is about a cattle call audition. The stage is filled with dancers auditioning for a show (that is never named). Through the following two hours (no intermission), the dancers get cut down to the ones who stand on the line and tell the audience a bit of their story, talk about their passion for dance, and learn the dance steps. The show is set in 1975 (the year it opened on Broadway) with a few small updates. The costuming was perfect for that time period, as were the dancing styles. The show starts with the basic audition number "I Hope I Get It." It starts with just a rehearsal piano playing for the dancers who are learning the number and watching themselves in the mirror across the back of the stage. Zach (the director/choreographer) tells them to do the whole number, away from the mirror and the orchestra (who sound incredibly through the whole evening) takes over. It was incredible, giving me shivers even remembering it! After the first cut, we are left with seventeen actors. 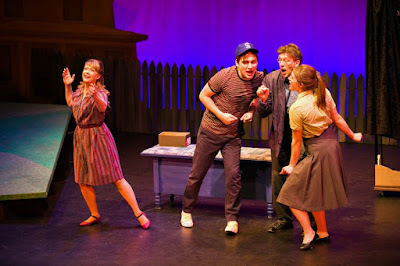 They stand on the line and Zach (played and danced incredibly by Tom Berklund) asks them to tell him about themselves. Some of them give in very easily to talk, others are a bit more reticent. As the characters tell stories, the other characters think about what stories they want to tell, or have memories of their own. Mike (Tim Hausmann) is great in "I Can Do That." Sheila (Pilar Millhollen), Bebe (Katie Hahn) and Maggie (Amanda Lea LaVergne) sing about being inspired "At The Ballet." This is one of my favorite songs and the last build before the end did not disappoint thanks to Maggie's amazing belt! This number was staged perfectly by Kerry Casserly and James A. Rocco. This song leads into a montage called "Hello Twelve" where the cast sings about growing up, dealing with puberty, dating, life as an artistic child in a non-artistic school, being someone different, etc. Up till now, the cast has been on stage through the solo numbers, yet in the middle of this montage (when Diana sings "Nothing"), the cast exits. While I found it odd, neither myself nor my companion could remember when the cast came back onstage so clearly the moment worked well. Diana (Katrina Asmar) has a great voice, and plays the part so well. After her number, the cast comes back on and the montage continues--again perfectly staged in that the actors sing their solos, and dance their numbers, but they land exactly in their original spot on the line. Val (Maria Briggs) sings the very well known "Dance: Ten; Looks: Three." Then the cast is sent on a break. At the last minute, Zach calls back Cassie (Molly Tynes). It has been hinted at earlier that they have had a relationship. Cassie has her big number "The Music And The Mirror." This is an incredibly difficult number to stage and perform. It has such a long history of amazing dancers doing this number - from Donna McKechnie, Charlotte d'Amboise, and many others. This production's version is very good yet for me, it seemed to lack something. Molly was fantastic, however I felt the choreography was lacking something, some passion. One small issue with an overall fantastic production. After this number, Larry (the amazing Tony Vierling) takes the whole cast downstairs to learn the final combination. Paul (Omar Garibay) comes on to tell his story--a very well known monologue about being gay, doing drag, and learning to live with dignity. The show ends with the number you have been waiting for all night: "One." Each actor comes on, takes a bow in a spotlight, then joins the chorus line where they all look the same. It is the brilliance of the show that all these individuals that you have come to care for and be interested in, end up being like every one else. I feel that it really shows us that all this mass of humanity that we see in our daily commute - each on has their own story and is special. That is what makes this show so special as well, and why it endures. This production and choreography was spot on, the vocals and orchestra were amazing, and the cast was incredible. It really was and is a singular sensation, and you should go see it. It plays through February 28 at the Ordway on the main stage. With a few caveats, I am slowly falling in love with the Jungle Theater. 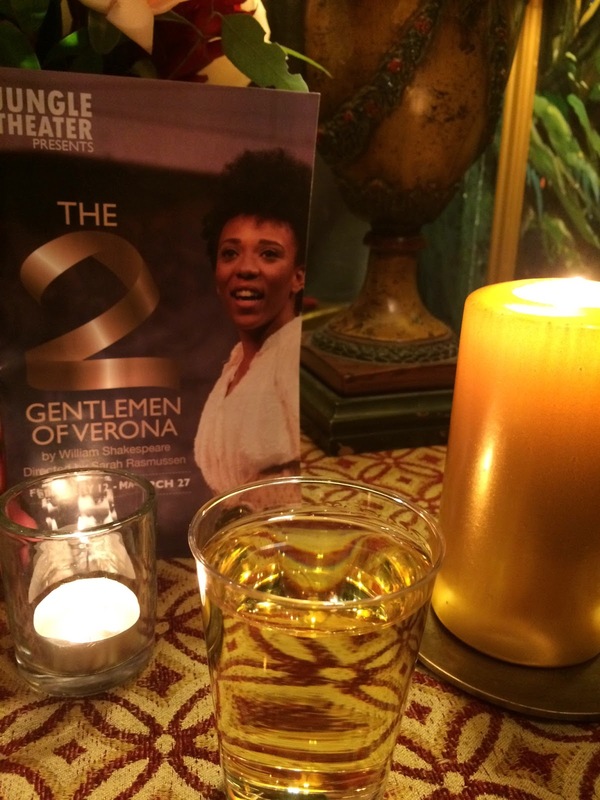 While this is only the second show I have seen there, The Two Gentlemen of Verona was a thoroughly enjoyable evening of theater. I was there the 2nd night of performances and the house was full. Lucky for me I happened to be sitting in what appeared to be the 'theater section' - Craig Johnson sitting behind me, Matt Sciple next to me and many others down the row. The house was in a great mood for a Saturday night and ready for a great time. Sarah Rasmussen's production did not disappoint. This production was originally produced at the Oregon Shakespeare Festival in 2014 where it was the first all-female Shakespeare in that theater's history. The Jungle production was adapted from that OSF production and maintained the all-female cast. The story, in brief, is this. Valentine (Mo Perry) and Proteus (Christiana Clark) are best friends. Proteus is in love with Julia (Maggie Chestovich), and she with him. Valentine is sent to the court of Milan, and after making a promise of true love with Julia, Proteus follows him. When Proteus arrives in Milan he discovers that Valentine is in love with Sylvia (Lenne Klingaman) - and soon Proteus follows his lead. In fact, Proteus tells the Duke of Milan (George Keller) that Valentine and Sylvia are running away. The Duke banishes Valentine, Julia shows up in Milan in disguise as a man, and...go see the show. Some of these amazing actors play multiple roles - George Keller, for example, plays the Duke as well as the comic relief character of Launce. Her dog Bear also plays Launce's animal companion Crab...and he played it perfectly! Also on stage are such Twin City Theater legends as Barbara Kingsley and Wendy Lehr. The casting was perfect. Each actor was spot on, finding the true emotions and humor of the show. The language and text was clear (which can be tough for Shakespeare at times). 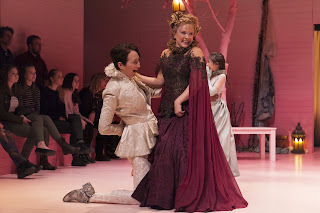 Julia comes across as very young and childish in the first act - a bit whiny, and overdramatic. However when she comes to Act II in disguise, she nails the new "character" so well. It was great seeing an actress play both sides of a character so clearly and so honestly. Honestly, I felt the same way for the full cast - fantastic. The set is a nice open stage with onstage seating on the sides. The front of the stage has steps down both sides of the center section, a green topiary on each side, along with a lamp above the topiaries. The back of the stage has a wide door across the center which is open at times to change scenes, along with an entrance door on one side. There are trees on each side of the wide door, and a bench. One of the trees is designed perfect for climbing to an upper level that is set across the top back of the stage. The whole set by Andrew Boyce is in a pale pink, and is gorgeously lit by Barry Browning. The costumes are mainly white and black, though Julia has some color to her dress and the costumes in Milan are gorgeously colored. Great work by Morie Sine Clinton, and great wigs by Laura Adams. Though the show is 2 hours and 20 min, with a 20 min intermission - it never felt that way. The pace was fast and created a very entertaining evening. Bright Half-Life at Pillsbury House Theatre, written by Tanya Barfield and directed by Ellen Fenster, is perfectly titled. Clocking in at a brisk 70 minutes, the play explores the romantic relationship spanning four and a half decades between Erica (Sarah Agnew) and Vicky (Jasmine Hughes) and takes place in short vignettes scattered through time. We follow them through all of the events (and non-events) in a romantic relationship. Dashing back and forth in time, in seemingly random order, this show perfectly captures the elusive moments that make up life and love. Jasmine Hughes and Sarah Agnew. Photo by Bruce Silcox. With beautiful lighting by Wu Chen Khoo and a spare, but evocative set by Joseph Stanley, and subtle sound design by Katharine Horowitz, this play requires the viewer to sympathize and empathize with Erica and Vicky--even when they are showing their least sympathetic selves (as one does in a relationship at times). The actors' work is exquisite, funny and moving and vividly realistic. The play itself is nearly perfect, with beautiful, realistic dialogue that captures the universality of life and love while still exploring a very specific relationship. Gorgeously done. We caught a preview of Theater Latte Da's Gypsy this week, but as they're using previews to tweak the show, we saw a work in progress. And poor Michelle Barber was under the weather (but still did a fantastic job). Instead, let me take you back to October 2006, the last time Theater Latte Da produced Gypsy. In those days, Theater Latte Da often performed at The Loring Playhouse, located right around the corner from the Basilica. The theater was not terribly accessible, with a tall flight of steep stairs leading to the theater space, and the bathrooms were way down the hall, basically located in the office building next door. Nonetheless, I feel incredibly nostalgic about Theater Latte Da's years there. I saw some of the best musical theater ever in that space. In the last ten years, I've seen about 600 shows, and yet I still remember Theater Latte Da's 2006 production of Gypsy with affection. (Although I still had to dig the program out to refresh my memory.) Both productions are/were directed by Peter Rothstein and music directed by Denise Prosek. I was a little surprised to see that Tod Petersen (as Herbie) and Eriq Nelson (as all of the adult male characters) reprise their roles in the current production. 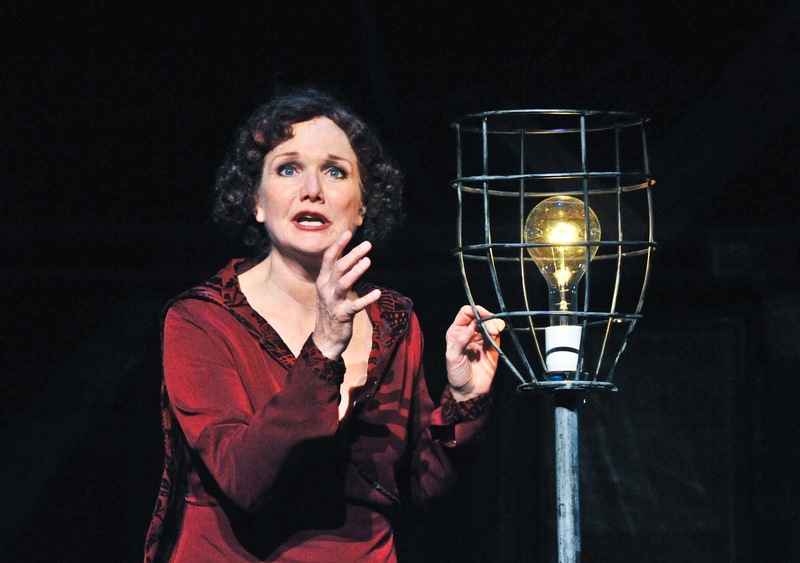 Back to 2006 ... As Mama Rose, Jody Briskey had a staggeringly powerful presence (and belt! ), and Simone Perrin brought Louise from shy wallflower to star with believable awkwardness and charming ease. The intimate, slightly rundown Loring Playhouse space lent a marvelous authenticity to the production. When not "on stage" the actors would sit in chairs alongside the stage, some playing instruments. This was long before we had ever heard of John Doyle (the director who had Patti LuPone's Mrs. Lovett playing a tuba in Sweeney Todd), and the effect was of a group of people telling this story with authenticity. I wish Theatre Latte Da as much success with this production of Gypsy as with their previous production. Thanks for all the great years of musical theater, Peter Rothstein and company! Silence! 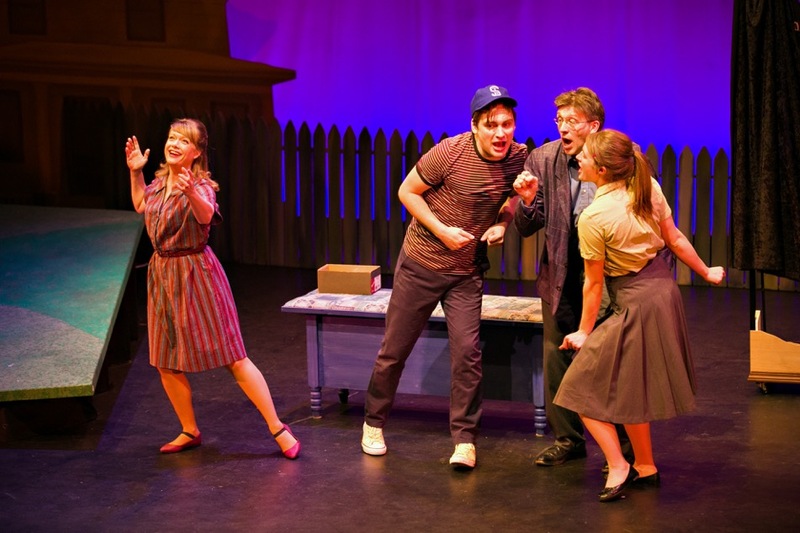 The Musical (showing now through March 6 at the Lab Theater) is almost definitely the best parody musical based on a horror film that you'll see this year. Released in 1991, The Silence of the Lambs won five Oscars and scared the hell out of millions of people. Now that it's an indelible part of pop culture, why not make it a musical? And I can't think of a better local theater than Minneapolis Musical Theatre (and Steven Meerdink's Bitter Boy Productions) to take on this show. You know the story: FBI fledgling Clarice Starling is sought out to interview famed serial killer Hannibal Lecter in order to find yet another serial killer. Although much of the original movie's script has become go-to pop culture punchlines (liver with fava beans and Chianti, it puts the lotion in the basket, ffffffftttttt) the movie is still genuinely disturbing. So how can this possibly be a hilarious musical? (Which it IS.) Well, it starts off with a fabulously witty book by Hunter Bell, and music and lyrics by Jon & Al Kaplan that manage to be truthful to the source material and tuneful, while hilarious and shocking at the same time. And then, if you're Minneapolis Musical Theatre, which specialize in musicals rarely seen by Twin Cities audiences (their tagline is "Rare Musicals. Well Done. "), you give it 112%. Every member of the cast performs with utter commitment and director Steven Meerdink creates the perfect tone. The cast hits every joke in the script perfectly, and finds a few laughs that probably aren't in the script, yet never ever milks a joke. 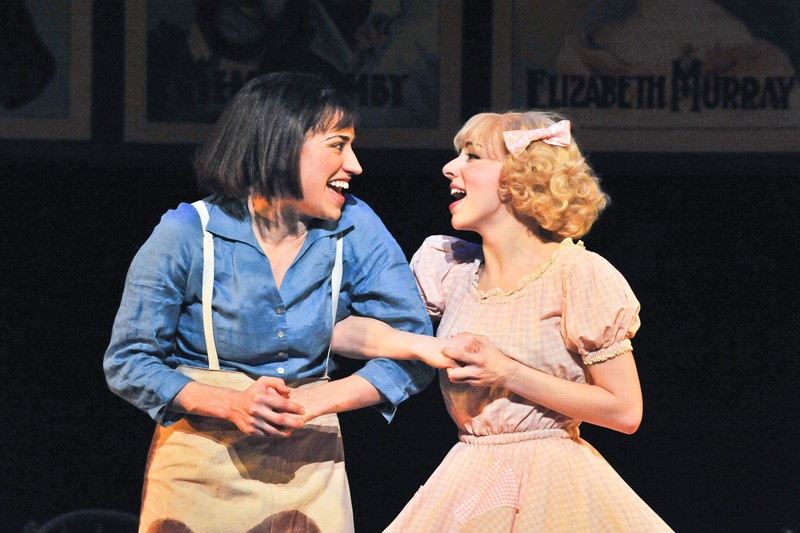 The show also has musical theater references that theater fans will love to pick out. You'll note references to Bob Fosse's choreography, Will Rogers Follies, Evita, Cats, and the King and I. These nods add an additional layer of fun to an already hilarious show. Clarice Starling gets her Fosse on with the chorus of lambs. Did we not mention the chorus of lambs? The cast is spot on, referencing the actors' work in the film, but bringing it slightly over the edge in a hysterical way. From the moment that Emily Jabas sprints (slowly) on stage as Clarice Shtarling, you know it's going to be good. 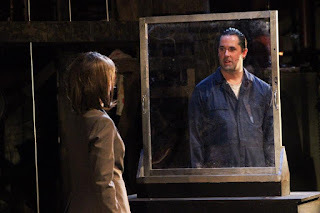 Tim Kuehl as Hannibal Lecter gives a delightful blend of menace and confusion, despite acting mostly behind glass and a mask. Alice McGlave gives a great boost to the thankless role of Ardelia (one of film's first black best friends), and Jordan Oxborough was a perfectly insane Dr. Chilton. My personal favorite performance was by Ryan London Levin as Buffalo Bill. Originally played by Ted Levine in a balls-out, Gene Loves Jezebel-dancing, putting-the-lotion-in-the-basket, Precious-loving performance, Buffalo Bill is one of the most vivid characters in horror. Starting with his first song, "Are You About a Size 14? ", Levin gives everything he has to this character and hits it perfectly. He gets Levine's (Levine/Levin/WHAT?) weird mumbly voice perfectly right, and actually has a fantastic singing voice. 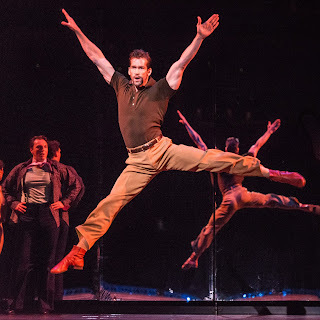 The entire chorus, including Gregory Adam (so good in MMT's Eating Raoul) and Daniel Lundin (excellent in this season's Murder Ballad) give amazing performances in a variety of roles. The show is at the Lab Theater, which I hope Minneapolis Musical Theatre can use for future shows. The warm and inviting--but bare bones and industrial--space is perfect for a show like this. 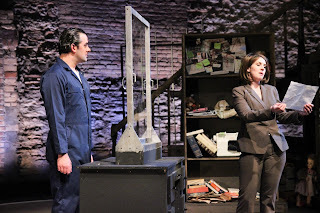 The beautifully constructed set by Darren Hensel made perfect use of the space, and the props by Valerie Larche lend a realistic (yet over-the-top) tone to the production. Starling and Lecter face off through the high-security window. By the way, if you are faint of heart and delicate, you may be shocked by some of the material in the show. Hannibal Lecter's first song (of which the Washington Post said the title was too dirty to even hint at) uses a word that is rarely used on the American stage or in film. Hint: It starts with "If I Could Smell Her", and references a line by Multiple Miggs. That's all I'm giving you. But I you pass up this fabulous, hysterical show because of that, well, I would be sad. Go see this fun show! PS: Every program received a postcard to help promote the show with a 20% off discount code. I don't feel right posting the code, but you could always mention you read about the discount in this review from us and maybe the box office will give it to you. Or check MMT's Facebook page for deals. 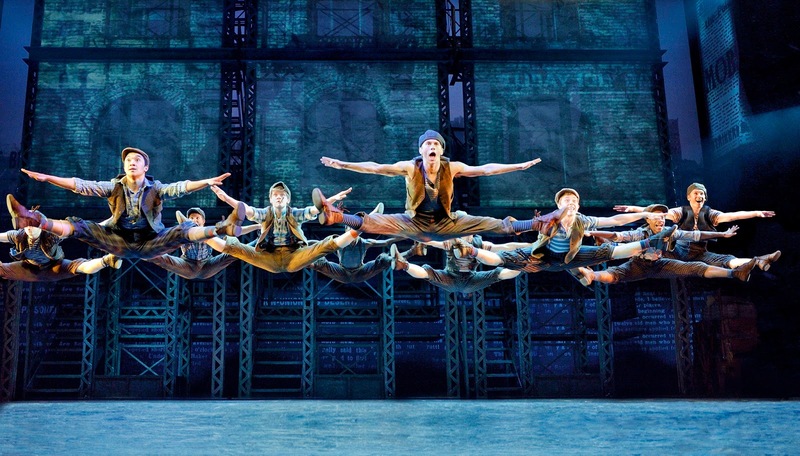 company of Disney's NEWSIES. © Disney. Photo by Deen van Meer. Newspaper sellers strike - and dance! 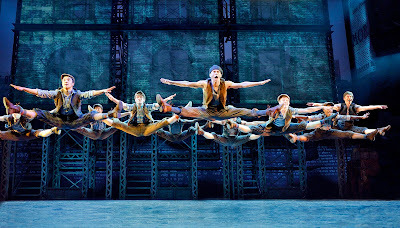 That's the idea behind Newsies, the musical that has finally made its way to the Twin Cities more than a year after the show closed on Broadway in August 2014. The wait surprised me, as I thought we were farther up the touring market food chain, but it might just be a fluke of timing and tour routing. Newsies had an unusual road to Broadway, where it won the 2012 Tony Awards for Best Score and Best Choreography. Originally a little-seen 1992 film starring Christian Bale, the movie became a cult favorite on video and the most-requested Disney title not already adapted for the stage. After a successful run at New Jersey's Paper Mill Playhouse, the musical opened on Broadway and had a healthy 1005-performance run.The show also garnered a fervent following known as "Fansies." Based on the true story of striking newspaper sellers in 1899 New York, the plot follows Jack Kelly (Joey Barreiro) and his pals as they decide to fight back against unfair pricing hikes from the papers' publishers, particularly the publisher of the World, Joseph Pulitzer (Steve Blanchard). With the help of Katherine, a young newspaper reporter eager to write about hard news (Morgan Keene), the newsboys rally together to push for better terms not only for themselves, but for other child laborers in the city. 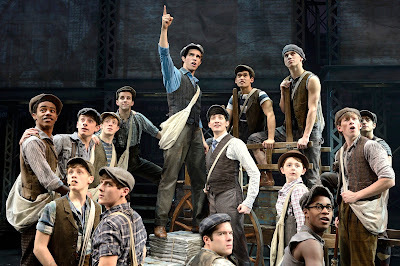 Although he dreams of a life far away from the streets of New York, Jack alternately embraces and avoids his destiny as a leader and the Newsies work through rousing songs like "Carrying the Banner," "The World Will Know," "Seize the Day," and "King of New York," The songs don't so much move the story along as they provide opportunities for the Newsies to dance. Original company, North American tour of Newsies. © Disney. Photo by Deen van Meer. And wow. What dancing! As choreographed by Christopher Gattelli, the ensemble races through grand jetés and pirouettes and performs flips and other stunts. A standout among the very talented ensemble is Jordan Samuels as Specs, whose awe-inspiring flips suggest that he has a special relationship with gravity. He's also a great presence in the chorus, with an energy that stands out from the crowd. The leading performers were fine, though I couldn't help wondering what it would have been like to see Jeremy Jordan as Jack. On opening night, the cast was also dealing with occasional sound balance issues and some mysterious noises. Overall, the script (by Harvey Fierstein) is just serviceable, with catchy songs by Alan Menken (music) and Jack Feldman (lyrics). It's easy to see how this show became a favorite with the young girls, both those who loved the movie and those who were introduced to the show. For me, the dancing is the real draw. Even if the dances don't do much to move the story forward, they are a joy to watch. Project Opera is a training program for young singers, from grades 4 - 12. 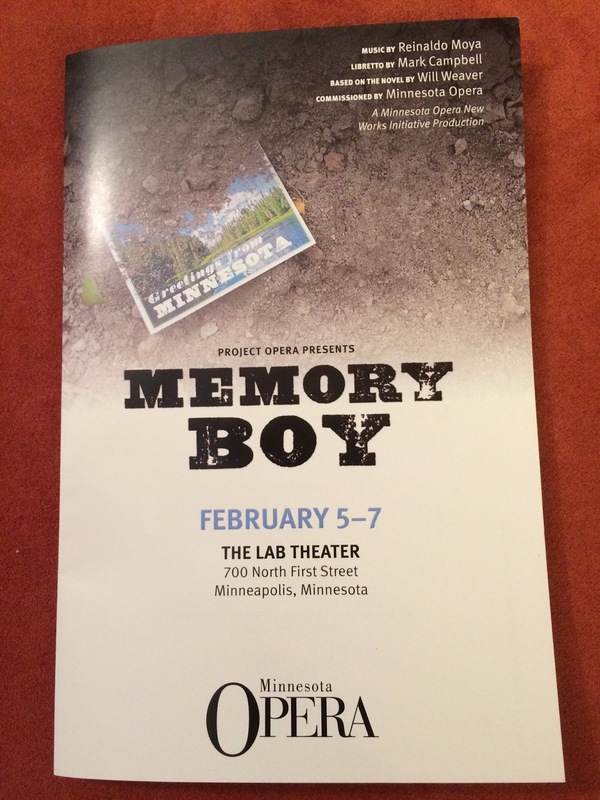 In conjunction with the Minnesota Opera New Works Initiative program, they created a new kids opera - Memory Boy. 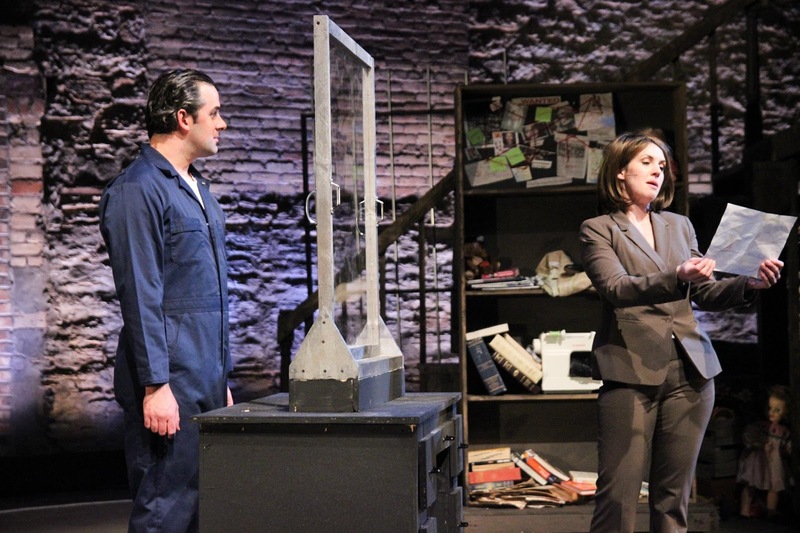 It has a very limited run at the Lab Theater. 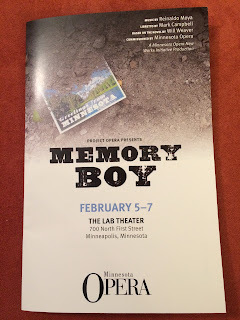 Memory Boy is based on the book by Will Weaver, a MN author. The story is about a family escaping from the cities to their cabin up north. There has been a cataclysmic change in the environment and the people, and the safest place is north, away from others. The main character is Miles, and it is his family and his story that we follow through this hour-long, eight scene opera. The opera was composed by Reinaldo Moya with a libretto by Mark Campbell. This was my first experience with Project Opera and I believe that everyone on stage (from the orchestra to all the singers) where between 4th and 12th grade. If that is the case, WOW!!! We have a lot of talent, young talent, in these Twin Cities. The Lab Theater was set up with audience risers on one side, and the stage on the other. At the back of the stage was a riser with the 13-piece orchestra. The cast was a cast also 13 in number but with a very large chorus. Since there a total of six performances, some of the cast members only sing three of the six. The names listed are who I saw at the first performance (though Kjell does sing at all six). Alex Stokes (playing Miles) was very good with a strong voice, and clear character. In fact the whole family - Sarah, the sister (Emma Shine), Natalie, the mom (Erica Thelen), and Arthur, the father (Kjell Redpath) were great! They sounded very good together and in their respective solos. 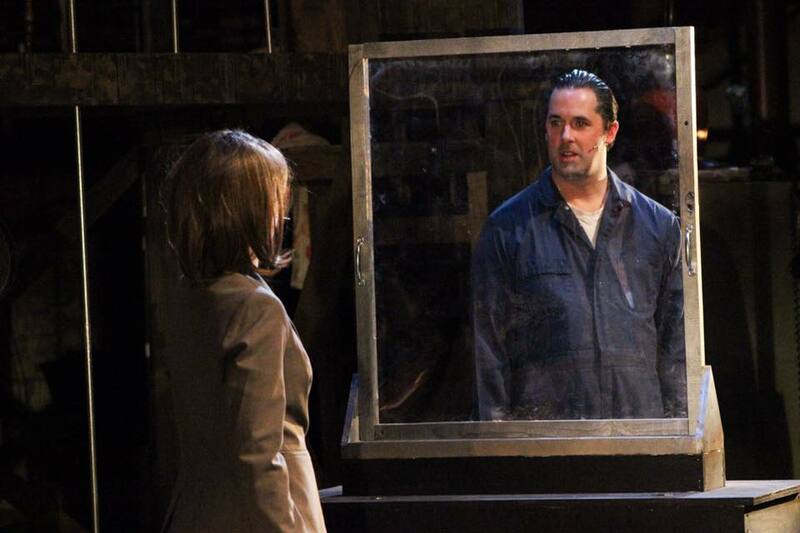 Also standing out was the character Kurz (Jonathan Rhodes), and the nurse (Tessa Larson). Kurz has quite a bit of singing and he was fantastic! Musically it sounded very much like John Adams to me. The music was a bit on the minimal side (not in a repetitive Glass or Reich way), but with a very nice waltz thrown in and a lovely jazz section. The libretto was very good and clearly told a story. There were a few transitions that I felt could be stronger but out of the cheering audience of parents and family, I may have been the only one to think that. Also, there were a few moments where the acting could have been stronger but was par for the course considering the age group and the focus of the program. Honestly, I really enjoyed myself and thought it was a very good piece. I was truly amazed at the talent of these kids and am looking forward to more. Bravo to the Minnesota Opera for having such a wonderful program!